The Art Education/Therapy room is located in Art and Design West on the second floor. There is also a variety of equipment for creating art including an electric kiln, printmaking materials, drying racks, and a variety of art materials for all art media. This environment allows the Art Education/Therapy students to get hands on experience in both creating art, presenting lessons, and writing curriculum. The Art Education/Therapy resource room is located in Art and Design West on the second floor. 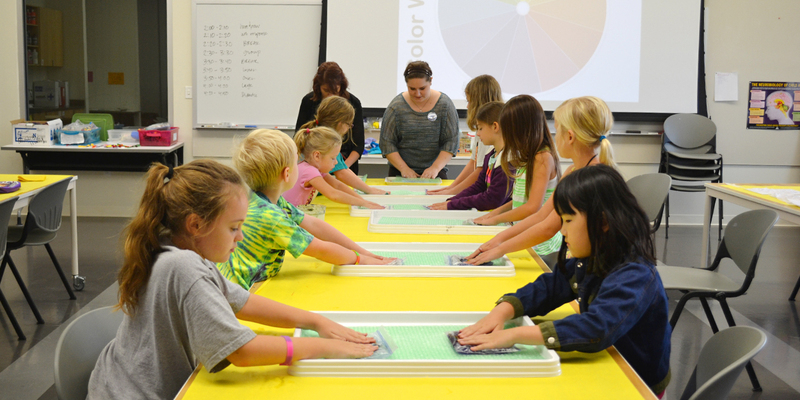 It is a center for students to research topics on Art Education/Therapy. It includes a variety of books, magazines, teaching kits, reproductions of artwork, curriculum guides, videos, and other mediums to aide in the teaching, viewing, and understanding of art.